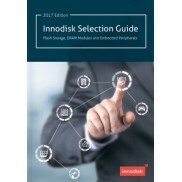 Твердотельные диски USB / USB EDC | Innodisk в Украине – официальный дистрибьютор компания ХОЛИТ Дэйта Системс. 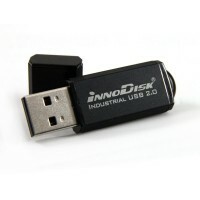 Твердотельный диск Industrial nano USB(Industrial, Standard Grade, 0℃ ~ +70℃)The Innodisk Industrial nanoUSB is the smallest industrial USB storage in the world. 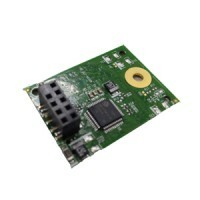 It electrically complies with High-speed USB 2.0 interface & backward compatible with USB 1.1. 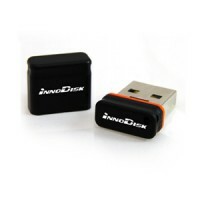 In order to fulfill the industrial applicat..
Твердотельный диск Industrial nano USB(Industrial, W&T Grade, -40 ~ 85℃)The Innodisk Industrial nanoUSB is the smallest industrial USB storage in the world. It electrically complies with High-speed USB 2.0 interface & backward compatible with USB 1.1. In order to fulfill the industrial applications,..
Твердотельный диск Industrial USB Drive 2SE, with Toshiba(Industrial, Standard Grade, 0℃ ~ +70℃)Industrial USB Drive 2SE, with Toshiba(Industrial, Standard Grade, 0℃ ~ +70℃)..
Твердотельный диск Industrial USB Drive 2SE, with Toshiba(Industrial, W&T Grade, -40 ~ 85℃)Industrial USB Drive 2SE, with Toshiba(Industrial, W&T Grade, -40 ~ 85℃)..
Твердотельный диск USB EDC Vertical 2SE, with Toshiba(Industrial, Standard Grade, 0℃ ~ +70℃)The Innodisk USB EDC (Embedded Disk Card) products provide high capacity USB flash memory storage that electrically complies with High-speed USB 2.0 interface & backward compatible with USB 1.1. 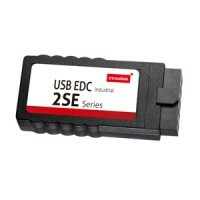 The device fe..
Твердотельный диск USB EDC Vertical 2SE, with Toshiba(Industrial, W&T Grade, -40 ~ 85℃)The Innodisk USB EDC (Embedded Disk Card) products provide high capacity USB flash memory storage that electrically complies with High-speed USB 2.0 interface & backward compatible with USB 1.1. 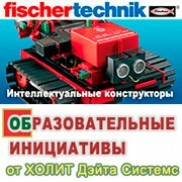 The device feature..
Твердотельный диск USB-EDC 2SE, Horizontal, Pin Pitch 2.00mm, with Toshiba(Industrial, Standard Grade, 0℃ ~ +70℃)The Innodisk USB EDC (Embedded Disk Card) products provide high capacity USB flash memory storage that electrically complies with High-speed USB 2.0 interface & backward compatible with U..
Твердотельный диск USB-EDC 2SE, Horizontal, Pin Pitch 2.00mm,with Toshiba(Industrial, W&T Grade, -40 ~ 85℃)The Innodisk USB EDC (Embedded Disk Card) products provide high capacity USB flash memory storage that electrically complies with High-speed USB 2.0 interface & backward compatible with USB 1.1..
Твердотельный диск USB-EDC 2SE, Horizontal, Pin Pitch 2.54mm, with Toshiba(Industrial, Standard Grade, 0℃ ~ +70℃)USB-EDC 2SE, Horizontal, Pin Pitch 2.54mm, with Toshiba(Industrial, Standard Grade, 0℃ ~ +70℃)..
Твердотельный диск USB-EDC 2SE, Horizontal, Pin Pitch 2.54mm, with Toshiba(Industrial, W&T Grade, -40 ~ 85℃)USB-EDC 2SE, Horizontal, Pin Pitch 2.54mm, with Toshiba(Industrial, W&T Grade, -40 ~ 85℃)..